Pawning Mercedes classic cars? We offer Loans on Mercedes classic cars! We’re often asked by customers “Is it possible to pawn my Mercedes classic car?” and the simple answer is yes. Mercedes-Benz has long since been established as one of the world’s most storied and successful motor manufacturers.New Bond Street Pawnbrokers are proud to offer a range of loans on Mercedes classic cars at our award winning shop in central London, to suit the needs of their fastidious and passionate owners. If you’re looking for loans on classic Mercedes cars that suit your needs and your purposes, all you need to do is contact New Bond Street Pawnbrokers today. We have a wide range of experience with all sorts of manufacturers such as Rolls-Royce, Ferrari, Bentley, Porsche, Lamborghini, and so many more. We know great cars when we see them, and it’s both our pleasure and our privilege to offer loans to their owners when the need arises. Just call us or use our web contact form to get in touch today. Mercedes-Benz can trace their roots right back to what many believe to be the first “car”, the Benz Patent Motorwagen. Since then the company has developed a range of beautiful, luxurious, and fast cars that appeal to all types of enthusiasts. We pawn against Mercedes classic cars that cater to all models from the marque’s illustrious history. There’s the effortlessly beautiful 500K for example, now highly prized. Or what many consider to be the ultimate classic car, the 300SL. Their “Pagoda” SL series of cars have been consistently regarded for their elegant looks and stout mechanics since their inception in 1963. If you’re looking for loans on classic Mercedes cars, there are certainly many different models to choose from. Getting loans on classic Mercedes cars shouldn’t be a hassle or a headache, and thanks to New Bond Street Pawnbrokers it doesn’t have to be either. 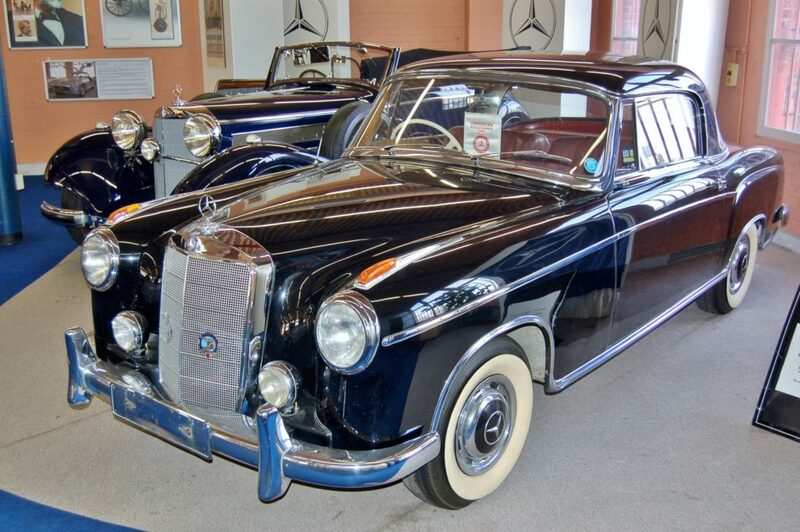 We’ll make sure that you’re offered the best possible price for your classic Mercedes-Benz. When you get in contact with us we’ll make an appointment with you at our premises in London so we can appraise your vehicle. If you need help with transport, just let us know, or if you want to drive your Mercedes to us, even better. We’ll then look at the provenance, the mileage, the condition, the market value, and a host of other factors to determine what the car is worth as a whole and in terms of the loan. When we offer a client a loan, the figure we quote is the figure that you’ll get. Our loans on classic Mercedes cars don’t come with any associated hidden charges or unpleasant surprises. The figure we provide you is the figure you’ll see in your bank account. Through the duration of the loan agreement your classic Mercedes will be stored with us in our secure facility. This means your car will be safe and sound until the loan is paid off and you get the keys back into your hand. Contact the friendly and helpful team at New Bond Street Pawnbrokers today to pawn your Mercedes classic car in the comfort and security of our award winning pawn shop in Mayfair, London. We’re able to offer you the best prices and a level of service you just can’t find elsewhere.